Overall objective of the project is to improve effectiveness of providing and administrating public services, by strengthening capacity of municipal institutions and structures, as well as increasing usage of city cards in Jelgava and Siauliai, i.e. including and centralizing municipal services foreseen for citizens in city e-card, as well as ensuring possibility to use these services cross-border. 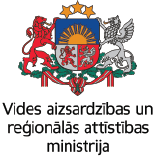 In accordance with the objectives of the program, it will contribute to the sustainable and cohesive socioeconomic growth of Zemgale region, helping Jelgava and Siauliai to become competitive cities, attractive for living and working, by centralizing the administration of public services, improving access to public services and its efficiency, as well as improving the quality of life of local residents. Development of cross-border cooperation between municipalities and residents by development of options of City Cards developing common solutions and mutually interesting applications. Cross border cooperation will improve – both on level of municipality and their institutions, and citizens. Within the framework of the project co-financed by the European Regional Development Fund, LLI – 152 “ Improvement of services available by citizen card in Jelgava and Siauliai“, research on the attitudes and expectations of citizens regarding the development of a citizen’s card have been completed in Jelgava and Siauliai. In order to make improvements in the development of Jelgava and Siauliai citizens’ card and to make them attractive to every inhabitant of the city, each project partner conducted a research in his own city in the framework of the project. The research analyzed the current situation, as well as interviews, people’s opinion about cards was clarified. Citizens interviews and organized focus groups were conducted in each city, during which respondents were able to express their views on what problems they encounter when using citizens’ cards, and what new features they would like to see on the cards, in order to use them more frequently and to make their use easier for everyday life. As the main problems when interviewing Jelgava residents, mention was made of the limited use of the citizen card and the technical problems that hinder school lunch payments. In turn, the dissatisfaction of the Siauliai citizens with the cards arises from the fact that it cannot be comfortably replenished with the money intended for payment of trips in public transport, kiosks and shops, and this can only be replenished in certain places. The residents of both cities would be happy to receive discounts by attending public events and would like to use cards in other places, not just in schools and public transport, as it is currently in Jelgava or just in public transport, as it is currently in Siauliai. The research will be used to prepare concepts for the development of citizen cards and then make improvements by adding new features that would ease the daily lives of city residents and could be used in the partner city of the project. Presentation "City digital economy tools"